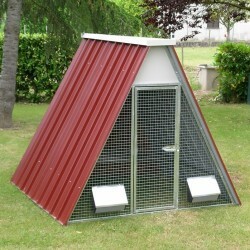 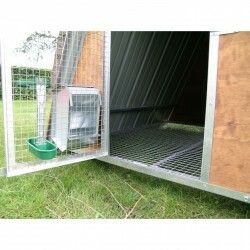 Small chicken coop ideal for up to 8 hens. 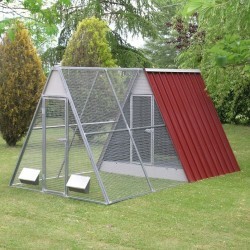 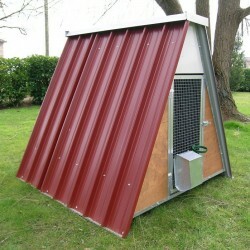 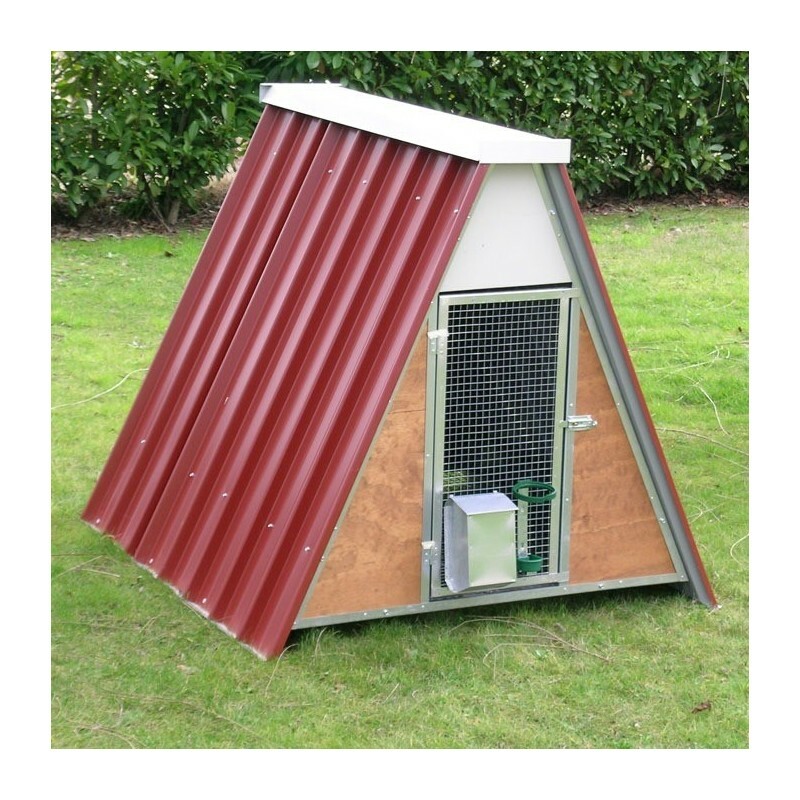 This poultry house comes complete with a 2 compartment feeder and drinks bottle holder. 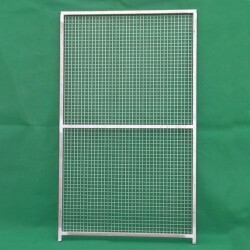 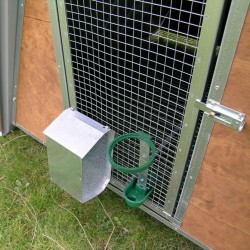 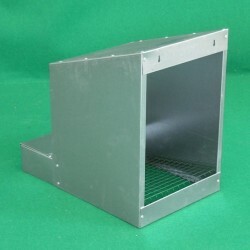 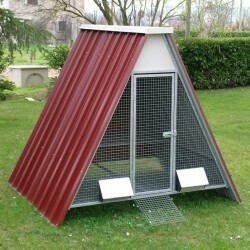 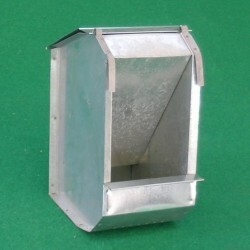 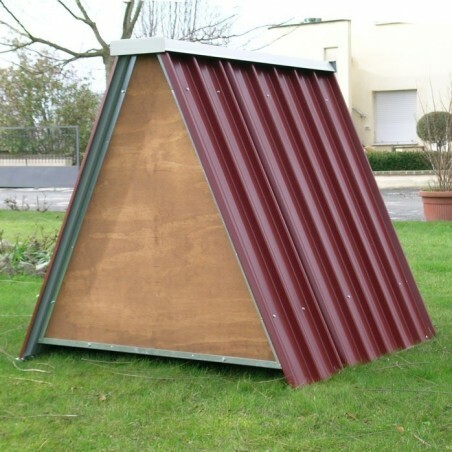 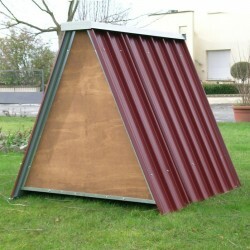 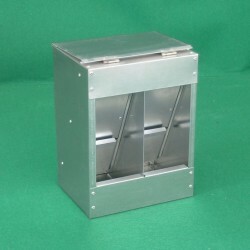 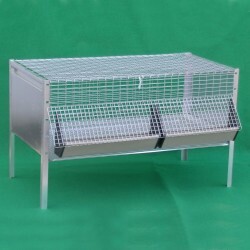 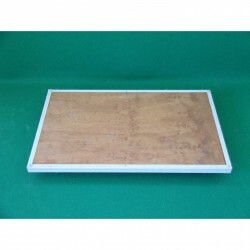 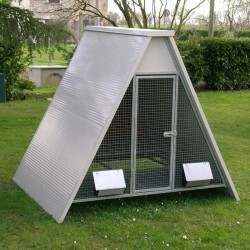 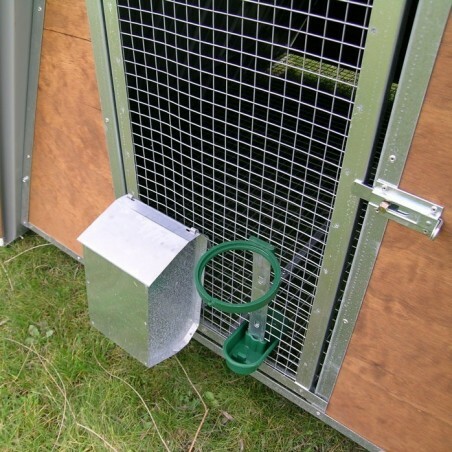 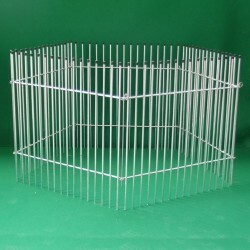 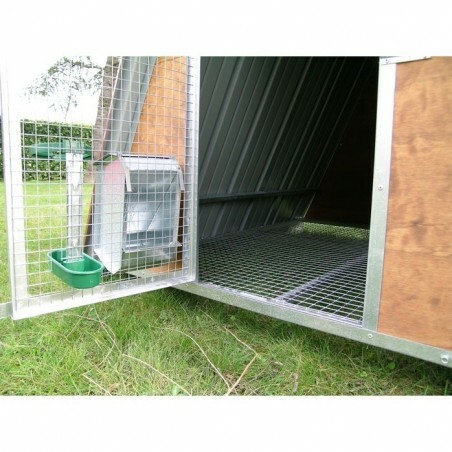 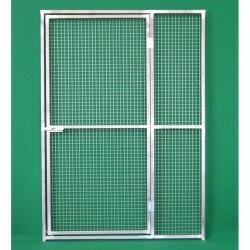 The electro-welded mesh at bottom provides protection from predators such as weasels, foxes and martens; door 38 x 79h, roof made of galvanised sheet. 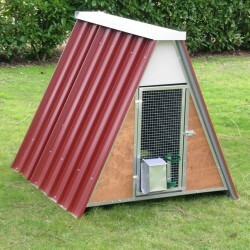 It is also available in an insulated version.